Ask anyone who can read or has HBO: George R. R. Martin is an entertaining man. 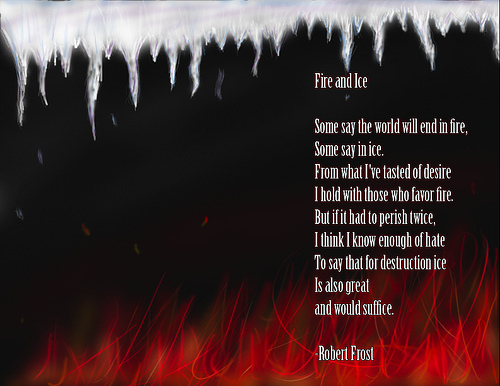 His series, A Song of Ice and Fire (or Game of Thrones as it is known on television) has taken the world by storm and become an element of culture. Few fantasy series ever achieve this level of fame. While there is no single reason why A Song of Ice and Fire has become as popular as it has, the intelligence of author George R. R. Martin plays a large role. More importantly, his knowledge of the genre and his ability to subvert the common themes/archetypes that readers/audiences have come to expect. Let us examine a few of the new spins that make the series memorable (warning: spoilers to follow). … The book, A Game of Thrones came out in 1996, the HBO show aired its first season in 2011. Eddard “Ned” Stark dies. He was played by Sean Bean. This information should surprise no one. But holy sh*t, this kind of thing does not happen in fantasy often. What’s more, Eddard Stark is the honorable knight lord. He is a man who lives by a code and strives to do what’s right. In most fantasy series, this would be the character that the audience/reader follows throughout. Witness Ned Stark slay the beasts and watch as good triumphs over evil. George R. R. Martin understood this, he understood that no one reading his book would think that Eddard Stark would die – so he killed him off. While any weary reader/watcher could suspect that Eddard Stark’s initial plan to stop the Lannister’s would encounter hiccups (it was only the first book in the series after all, he couldn’t solve every problem right then), the idea of killing him was simply foreign. By doing so, George R. R. Martin tossed out the idea of the immortal hero and showed that anyone/everyone in his series would be vulnerable. Instantly, every character became that much more interesting. 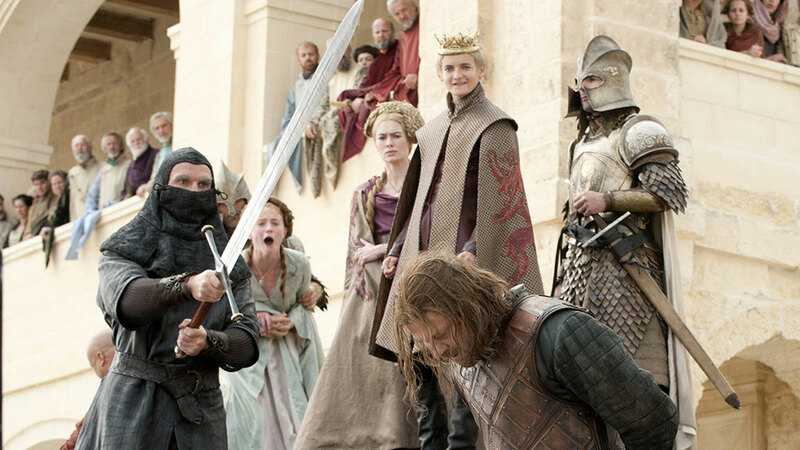 If Ned Stark could lose his head – anything could happen. The moment that changed the series. Black and white cannot show his two eye colors but you get the idea. He is ugly. 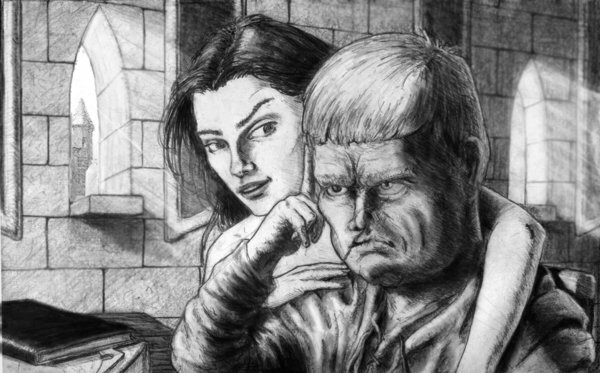 A small, malformed creature – and a member of (arguably) the most hated house in the series. Following normal fantasy logic, this guy should be the worst one. A treacherous, sneaky little imp that lurks in the dark and preys on the weak. Yet that is not Tyrion Lannister at all. By far the most likeable member of House Lannister, Tyrion operates with more decency and honor than his two attractive siblings. I could have used any character really to illustrate how George R. R. Martin subverted the common fantasy notion that beautiful people are always fair in every aspect of their personality but I believe no other character illustrates this better than Tyrion. This is a fantasy series where looks tell the audience/reader nothing about the character… save how they appear. In most fantasy series when main characters do die, it is on the battlefield. In the midst of war they are slain: pierced by a sword in single combat usually. As fair as deaths go, it is a very romantic image. Weddings by contrast usually mark the place of resolution/happily ever afters. The war is over and the danger is passed, time to celebrate with a light affair and end the book. 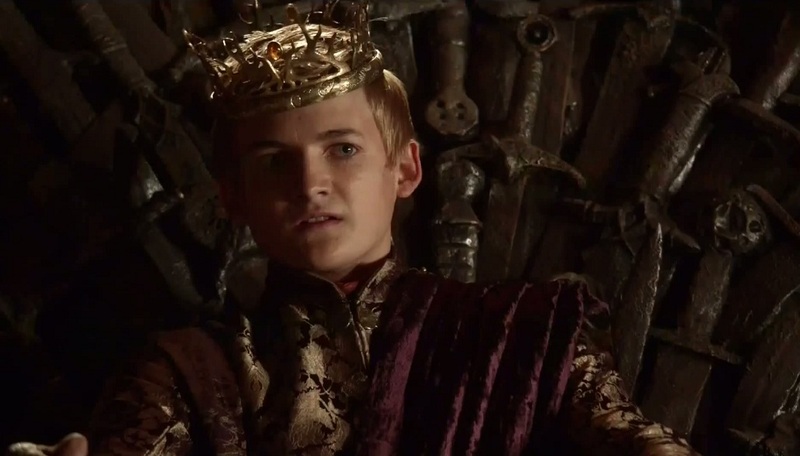 When is the last time a main character was killed in a battlefield in A Song of Ice and Fire? 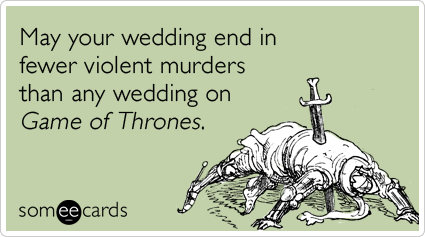 No, nothing kills main characters like getting married in a George R. R. Martin series. While some might say this is a manifestation of personal issues (Martin’s first marriage ended in divorce), I like to think it is more of the brilliant subversion that is found throughout the series. 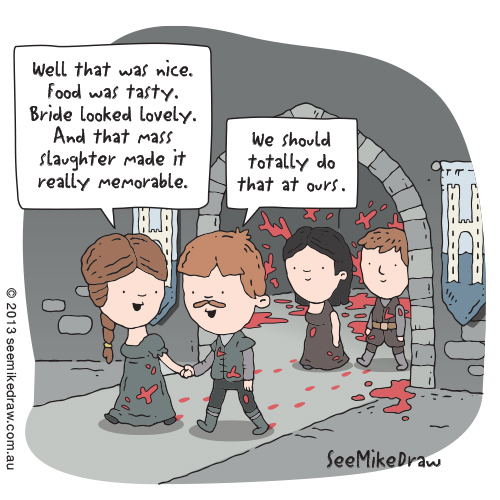 As mentioned before with Tyrion Lannister: appearances are not everything. Martin can be hailed for creating a series where women are at the center of the action. While this, hopefully, will be the norm for every fantasy series to come: the change has to start somewhere. I am in no way crediting Martin for being the first (there are plenty, including Tolkien, who have incorporated women into an active role). Famous works are an inspiration and this will do far more for advancing female characters in fantasy than a dozen obscure series that are only read by a few. 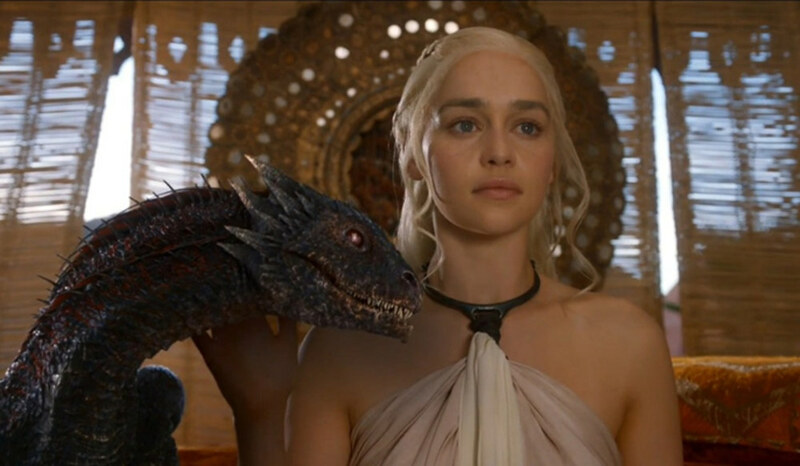 Given her introduction, few people probably assumed that Daenerys was destined for the power that she has taken. A Song of Ice and Fire has two books left before completion and the main conflict appears set (White Walkers (Ice) vs. Dragons (Fire)). It has been a long time since George R. R. Martin began his series (the first three books were published within four years, the last two have took eleven) and some (myself included) are starting to doubt whether the quality will be maintained. Ending a series is one of the hardest challenges in writing. There are many characters and audiences/readers will be wanting a satisfying resolution for all of them. Yet George R. R. Martin has surprised us, time and time again. It is one of the main reasons that we keep reading/watching. The beginning was unorthodox, the middle was turbulent… who is to say that the epic fantasy ending that we are all starting to expect is even coming. This has not been a series to play by the rules. That is why we love it so much. Oh my goodness! Awesome article dude! Thank you, However I aam experiencing troubles withh your RSS.